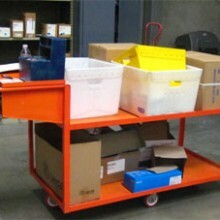 We offer a wide selection of cart solutions for technology, science, industry, healthcare, etc. 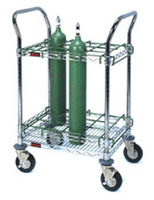 Applications range from transport of sensitive electronic components to healthcare devices to industrial parts to packaged goods. 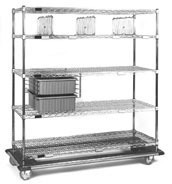 Our carts are used in labs, cleanrooms, warehouses, medical facilities, manufacturing space, offices, etc. 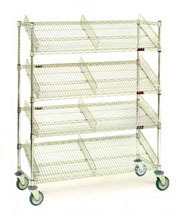 Materials include steel wire rack (chrome & stainless steel), solid steel, laminate and plastics. Below are representative examples. 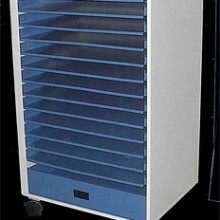 Contact for full product line availability. 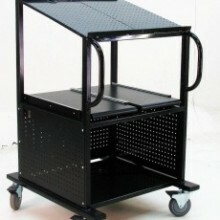 Electronic tray cart. Front or side load. Two std. sizes. 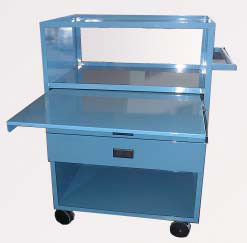 Aluminum trays available. 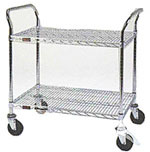 Security carts. 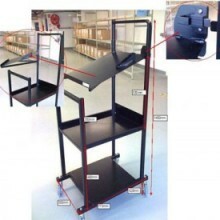 Mobile and stationary models. 17”, 27”, or 33”d. 39”, 51” &63”w. 66”-69”h. 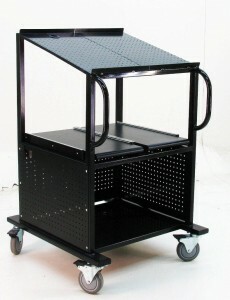 Computer cart. 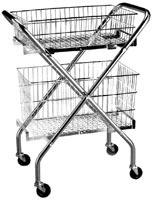 Chrome & stainless steel models. Includes keyboard drawer. Optional mouse shelf. 24” x 24” and 30” x 30” sizes. 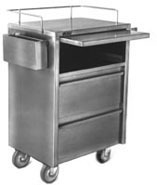 Stainless Steel for bacteria control. Open surgical case cart. Stainless steel. 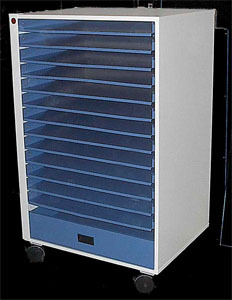 We specialize in fast turn, high quality, high value custom solutions. 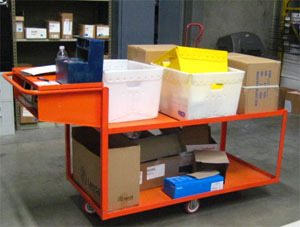 Contact us to review the specifics of your unique cart or material handling requirement. 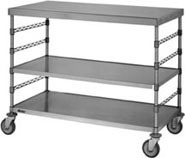 User specified products are manufactured in steel, stainless steel, or laminate materials. 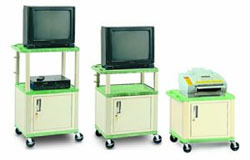 Each of the units shown below was a unique solution, designed in partnership with customers with specific applications.